Retired to reporting minor league baseball in Florida, Oscar's poker game is interrupted with the news -- his son is marrying the daughter of his one-time flatmate. 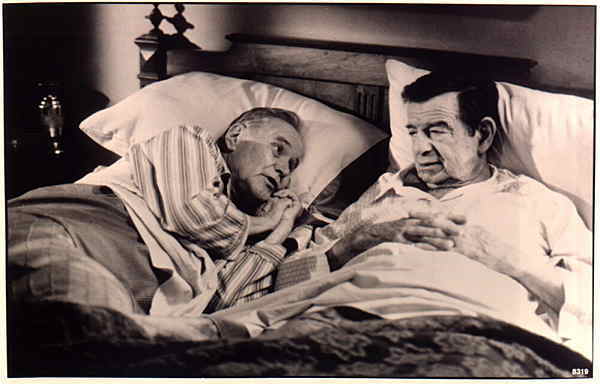 Yes, they're on the road again, Oscar the slob (Matthau) and Felix the compulsive-obsessive (Lemmon). They meet, they annoy one another, they annoy the sherrif who can't seem to get them out of his hair, and eventually arrive at the wedding. 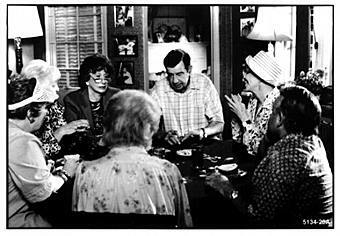 Written by Neil Simon, this Odd Couple epiosode has some fairly good lines, a couple of reasonable sight gags, and a immensely talented group of actors who deserve much better material. I spent most of the film wondering what would be the pay-back for my attention, at the end there was none. No point, no message, no full-on laughter, no character development.